the country’s largest opposition party. This leaves MDC secretary-general Douglas Mwonzora as the only presidential hopeful to challenge Chamisa at the party’s congress scheduled for May 24 to 25. It will be the first congress to be held since the death of the party’s founding father, Morgan Tsvangirai, early last year. The Daily News can exclusively report that the ex-Harare mayor who was also expected to challenge Chamisa for the MDC presidency, has been persuaded into an arrangement whereby he, along with his backers, would throw their full weight behind the 41-year-old advocate. In return, Chamisa and his entire campaign team will ensure that the 62-year-old Sierra Leone-trained engineer retains his position in the party. The Daily News is reliably informed that the deal was engineered by Chamisa’s allies in Masvingo Province, among them James Gumbi and Takanayi Mureyi. The Daily News can, however, reveal that Mudzuri, who could not be reached for comment at the time of going to print, met with Mureyi – an MDC national executive member representing Masvingo Province – and Gumbi at the former Warren Park legislator’s home in Milton Park, Harare, two weeks ago. At the meeting, it was agreed that Masvingo Province would nominate Chamisa for president, and Mudzuri as his deputy. Mudzuri’s allies in Masvingo who include James Mushonga, Peter Imbayarwo, Silas Mangono and Dereck Charamba are now expected to campaign for both candidates as part of the deal. MDC spokesperson Jacob Mafume told the Daily News yesterday that Chamisa and Mudzuri had always enjoyed a cordial relationship. “There was never a hatchet to be buried in the first place because one’s ambition to contest a position cannot be referred to as a hatchet in a democratic party like ours but what I can confirm is that the two have always had a cordial relationship,” Mafume said. Today, MDC’s provincial structures will start their nominations for national positions ahead of the party’s elective congress next month. Since the death of Tsvangirai on February 14, 2018, Chamisa has had an on-and-off relationship with Mudzuri. Following the former trade unionist’s death due to cancer of the colon, Mudzuri was left unimpressed by the manner in which Chamisa outmaneuvered his colleagues in the MDC succeed Tsvangirai. But unlike Thokozani Khupe who opted to create another political home for herself, Mudzuri stayed put and continued as one of Chamisa’s three deputies. On several occasions, Chamisa has had to come to Mudzuri’s rescue. For instance, it was the MDC leader who emerged to save Mudzuri’s skin after he had angered party faithful by attending a meeting of Parliament leaders with President Emmerson Mnangagwa at his State House offices without the MDC’s blessings. 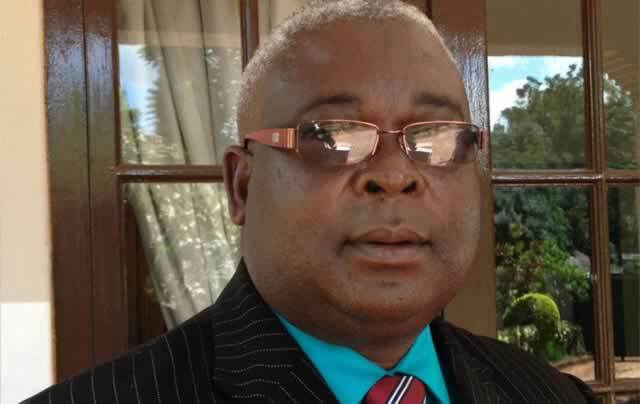 Recently, agitation for Mudzuri’s ouster reached fever pitch within the MDC’s standing committee, the executive committee and the national council where his rivals were demanding that the former Energy minister steps down. The motion to de-stool Mudzuri was ironically raised by Masvingo Province but Chamisa rescued his beleaguered deputy after reportedly telling his party’s national council that it would be unfair to discuss the MDC vice president’s case while he was absent.